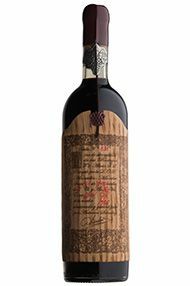 The 1946 Don PX Convento Seleccion produced with Pedro Ximenez grapes dehydrated under the sun at the time of the Second World War, was only bottled in September 2011. This is an extreme wine, my first descriptor was ultra-mega-super concentrated. It is unbelievably powerful, both in the nose and the palate, full of umami, with sweet cinnamon, Christmas cake, camphor, petrol, lemongrass, Belgian chocolate and butter. Incredibly complex and rich, sweet, balanced and smooth in the palate, it is both very sweet and somehow salty, and with time it develops a black olive note. It combines the texture of the 1962 and the elegance of the 1949. It is as decadent as it gets. 825 bottles were produced. This wine will survive all of us. These wines are kept for generations and offered in very small quantities, but it’s amazing that you can still buy and drink something so old, and I’m even tempted to say that it might represent good value for what it is. A real tour de force sweet wine. Drink it if you ever have the privilege to do so from 2013-2060.